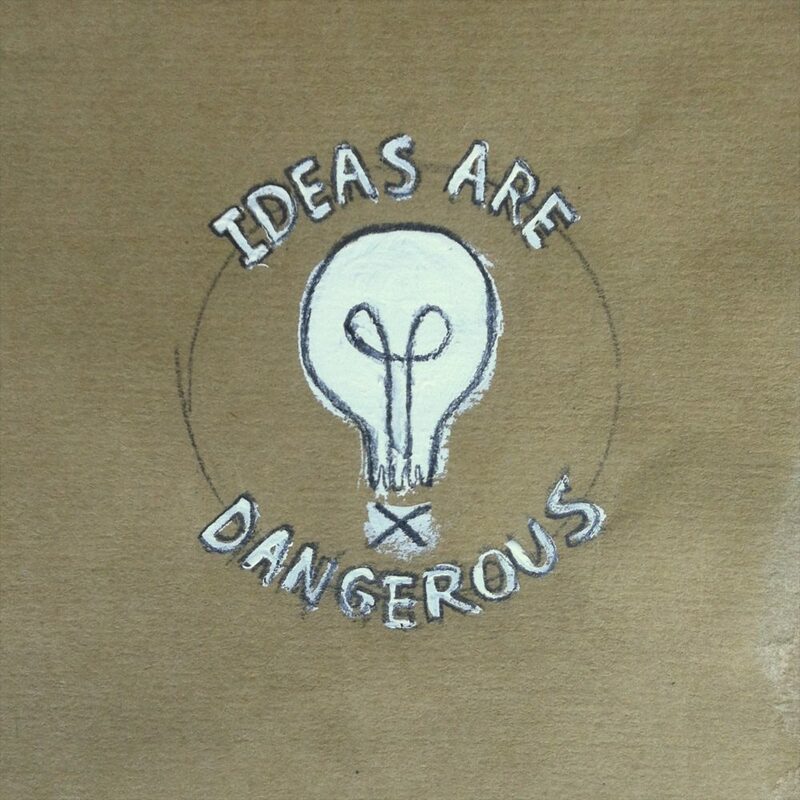 “Ideas are Dangerous” is the label given to a band of seafaring pirate monks in my Wakefield story. The monks travel the world coping important texts and codexes which they believe are valuable treasures. For this they are branded criminals and chased across the ocean blue. The monks embrace their trouble maker image and sail the high seas in search of the greatest treasure of all, truth. No library is safe. I doodled their pirate logo on a piece of scrap paper today and thought I’d share. This logo is actually pretty old. I have a doodle of it in one of my USC sketchbooks circa 2000. In my story all of the pirates have this branded on their arms. It is a sign of hope to some and sign of dread to others. I likes this a lot. You ought to print up some tee shirts. It's that good. Could be your smiley face. I'm glad you like it. Its one of those thoughts that has been floating around my head for a while. The imagery has been there a long time but during the day the words finally came to me. Too bad all my screen making gear is back in California or else I'd probably try my hand at printing it up. Who knows it's round maybe I can make some buttons instead. Those might be more fun anyways 'cause we could hand them out. Buttons are super cheap. Depending on the size in color they are about 25-50 cents.